Mexican Soda – Have You Tried It? Sorry! Even though these drinks are incredible popular in Mexico, they’re not originally from here. They’re good though. But did you know that Mexico has it’s own line of Mexican Soda? You won’t see them in this picture, so let me introduce some of the most popular and delicious sodas (called “refrescos”) and you can try them on your next visit to Mexico. The first one on the list is Lulu. You’re right-the girl in the logo looks like Betty Boop! Actually, it was originally Betty Boop, but for legal reasons the logo was modified. Anyways, the reason I’m recommending Lulu is because of the many delicious flavors, in particular the orange soda. It has a unique flavor that I’m sure you won’t find in any other orange drinks. The second on my list: Jarritos. 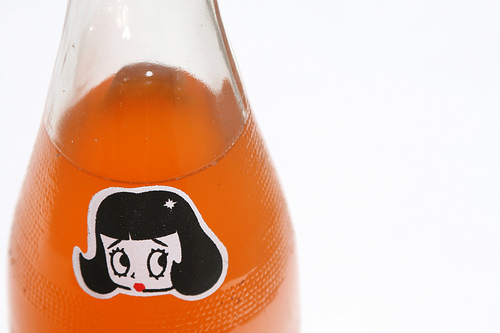 This Mexican Soda has a long list of fans that have been loyal to this drink for decades. 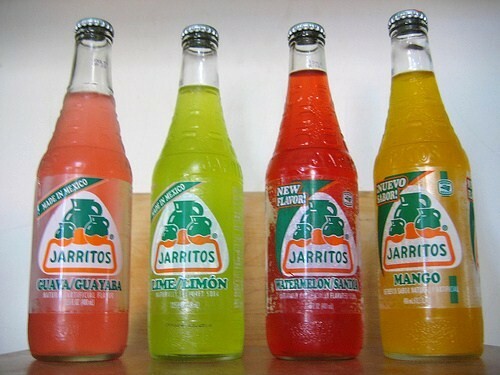 Jarritos offers a variety of flavors, among them being Guava, Lime, Watermelon and Mango. They definitely will not disappoint you because the ingredients are taken from real fruit! It’s not just artificially flavored water, so you’ll taste the fruit in the drink. My third suggestion is Yoli. Originally from Acapulco, Guerrero, Yoli has become a favorite not only in that city but all over Mexico since it’s nationwide distribution. 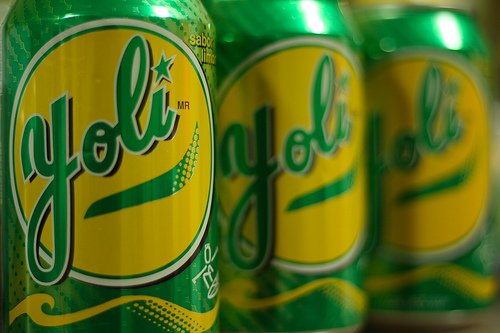 Yoli has a flavor that can be compared with 7-Up or Sprite, but a little less sweet, wich if you’re thirsty and the soda is cold is very refreshing! And finally my favorite: Boing! It’s definitely a “must try” if you like non-carbonated drinks with rich flavor and pulp. 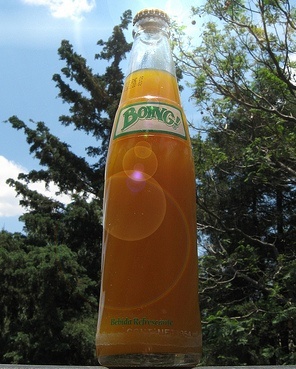 Boing has been around for over 60 years, offering a nice variety of flavors, such as Mango, Tamarind, Strawberry, Grape, Apple, Orange, Guava, Pineapple, Sour sop (Guanabana) and Peach. Don’t miss the opportunity to enjoy any of these Mexican Drinks when you visit Mexico. I’m sure you’ll take home a very refreshing memory! This entry is filed under Drinks, Soda. You can follow any responses to this entry through the RSS 2.0 feed. You can skip to the end and leave a response. Pinging is currently not allowed. I love the bottle designs! I’ve seen Jarritos before in the Detroit area but haven’t bought one. I’ll have to give one a try sometime.